A video analysis is by far the most efficient way to improve your swimming technique. The video analysis and correction session we offer can safely be counted in the best available methods. During this session, the swimmer is not only filmed in high definition (above and below water), but during the same session the images are viewed and analyzed together with the swimmer. Still during the same session, the most specific drills are also taught, which in the short term will raise the swimming performance to a higher level. The complete analysis is recorded and recorded on a USB stick for re-viewing. Video recordings in high definition while swimming with our specially designed video camera. The images are viewed and analyzed together with the swimmer. By comparing very regularly with how the elite swimmers do it, we can clearly indicate where the problem is and how this can be solved. After looking at and analyzing the images, we have a very good view on the priorities to improve your swimming and to be more efficient in the water. With this information we go back in the pool and the most efficient exercises are taught to work on the biggest priorities. The complete video analysis was recorded and you immediately get it on a USB stick to take home. In addition, with the Swim Smooth GURU you get a lot of information to continue working on the improvements. 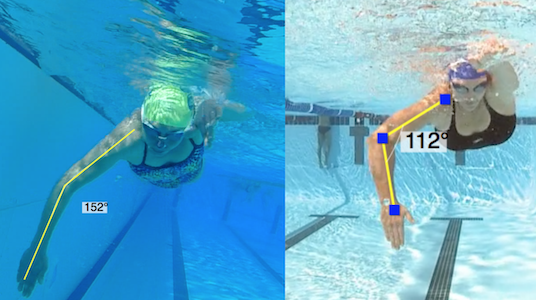 Our video analysis and stroke correction session is for every level of swimmer. Whether you are a novice swimmer who wants to learn the basics or an experienced swimmer who wants to perfect his technique, everyone can get a lot of information and help from this session. By seeing yourself swimming from different angles, above and below water, you will quickly understand where the most progress can be made. The analysis of the images takes place in the pool itself so that we can immediately set the priorities. 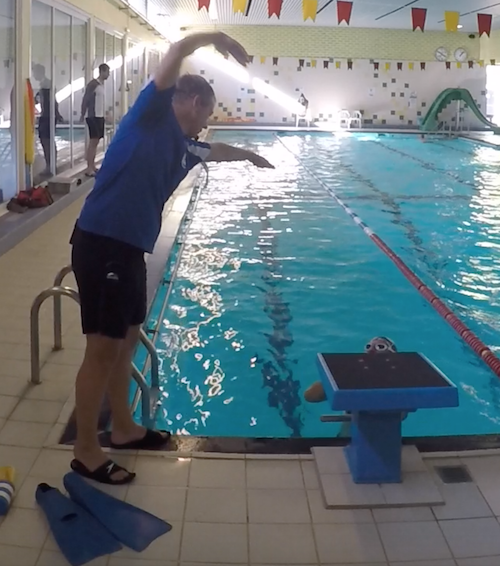 We will learn the drills and techniques to get very fast results while improving your swimming technique. The Video analysis and correction session is a premium coaching service but do not underestimate how much time and energy you can save with this individual analysis of your technique, regardless of your swimming level. A first video analysis and correction session will cost 125€. If you are returning for a follow up session, you'll pay 40€ less with this code VIDEO2. You can book your own slot via our automated online booking system.